HONG KONG, 4 October 2017 – South China Morning Post Publishers Limited, Asia’s leading media company, held its fifth Spirit of Hong Kong Awards (“the Awards”) presentation ceremony last Friday (29 Sep), honouring eight unsung heroes and enterprises for their contribution to the greater good of Hong Kong. The Hon. Mrs Carrie Lam Cheng Yuet-ngor, the Chief Executive of the Hong Kong Special Administrative Region, graced the ceremony as the Guest of Honour. Since its inception in 2013, the Awards have begun a tradition of celebrating Hong Kong’s very own unsung heroes for their inspiring journeys in overcoming adversities, contributing to the community, acts of self-sacrifice, innovating for good, cultural preservation, good corporate citizenship and entrepreneurship. It also garnered a host of community organisations that nominated ordinary yet exemplary citizens or enterprises. A total of 147 nominations were received this year, more than doubled from the previous year. 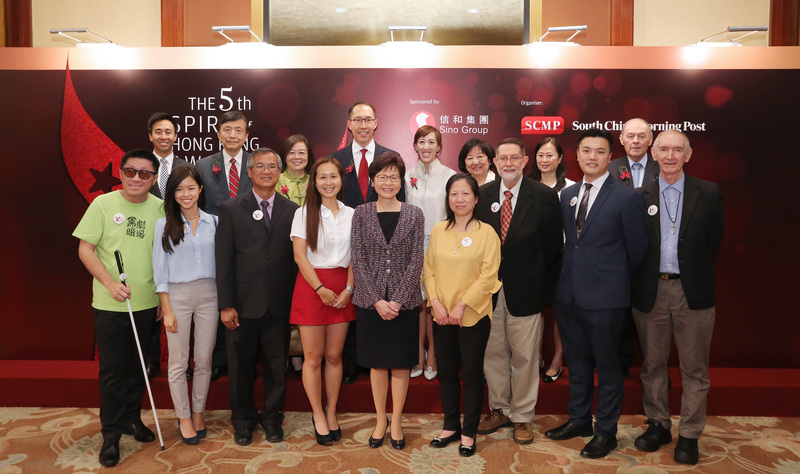 With Sino Group’s generous sponsorship for the fifth consecutive year, the Awards gave voice to Hong Kong’s unsung heroes whose stories the SCMP has been sharing with readers on our digital platforms as well as print edition. First published in 1903, the newspaper has developed an enviable reputation for authoritative, influential and independent reporting on Hong Kong, China and the rest of Asia. Available in print, mobile, tablets and online through scmp.com and e-reader editions, the South China Morning Post reaches a global audience with daily breaking news, analysis and opinion, multimedia articles and interactive forums. The South China Morning Post received 200 awards in 2016-17 for excellence in editorial, marketing and technical capabilities. Other titles in the company include the Sunday Morning Post, STYLE, Destination Macau and The PEAK.